Irish Record 221lbs taken in 1913 by T. Tucker at Ballycotton. Common Skate have a diamond–shaped body with a long tail and pointed nose. Dark-brown mottled back with lighter spots, and a white under-side. There are sharp thorns along the tail with a pair of small dorsal fins towards the end of the tail. Male fish are normally slimmer, with long “claspers” below the tail and a small, “thorny” patch on the upper-side of each wing. Males, although not dangerous, are usually more aggressive than females once landed on the deck of the boat! Females are reasonably docile once landed. They have a thicker body section, and no claspers or thorns on the upper wings. 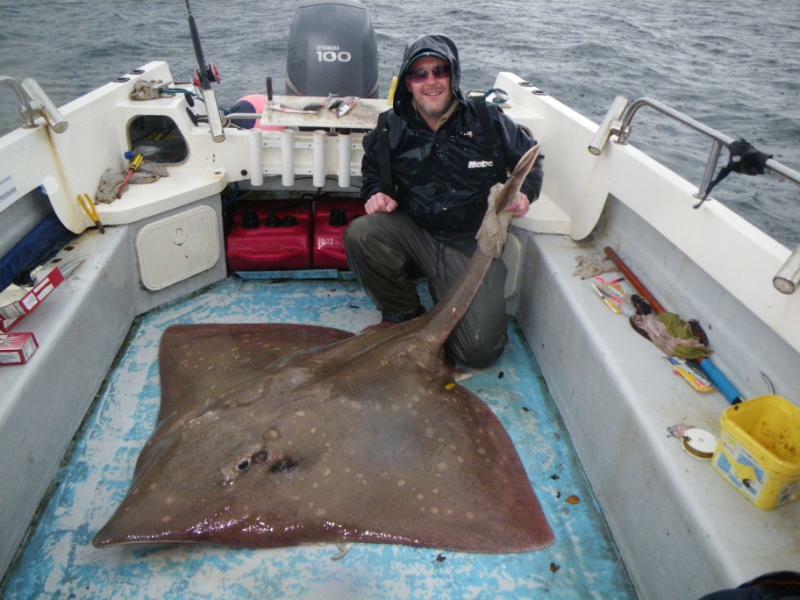 In 2001, I joined a party of anglers aboard Sean McKay’s charter boat on the North Antrim coast, in search of Common Skate. Within half an hour of dropping the anchor and the boat settling, one of our crew hooked into the target species, eventually landing a fish of 163lbs, and one of the first on record in that area. 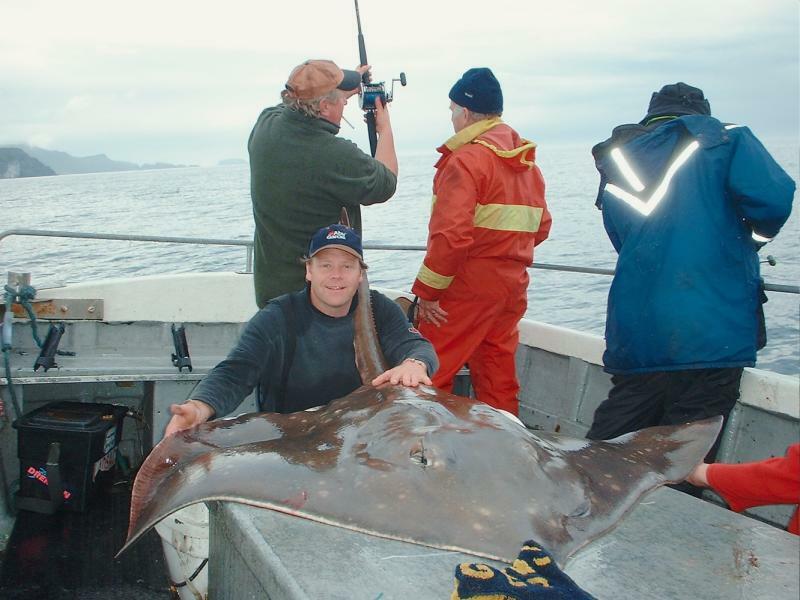 Since that original, exciting trip, dozens of Skate, and quite possibly hundreds have been captured, tagged and released, with the collected data building an important picture of population, season, growth rate and distribution. I am proud to say that I have been part of that continuing survey, landing and tagging many fish aboard my own boat. The Antrim Coast, from Larne to Dunseverick is now as well known for its Common Skate as the famous marks of Clew Bay on the west coast. It is fantastic to see that numbers of fish, for now at least, remain reasonably stable. It is vital that marine protected areas are put in place to protect these habitats. 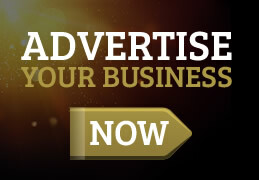 There have also been catches of large fish on venues at opposite ends of Ireland, namely the Cork Harbour area and marks off the Donegal Coast. On a recent trip to Donegal, my own boat notched up another huge specimen of 193lbs, taken in over 500 feet of water on an up-tide rod no less! Common Skate can be caught almost anytime throughout the year. Different venues along the coast each have their peak times; however, March seems to be the quietest time looking through my own records. Whole Mackerel, large Squid or whole Coalfish or Pollack are normal baits for Skate fishing and large sections of Dogfish can work very well, but with any bait the emphasis is on LARGE. Big baits will offer plenty of scent attraction and will also help minimise unwanted smaller fish such as Dogfish being hooked. I have taken quite a few Skate on a small calamari squid whilst seeking other species, so they will take small baits, but in general, when specifically targeting these leviathans of the deep, bigger is better! If you are thinking of finding new areas in search of Skate, look for sandbanks and broken ground that shelve away into deeper water and fish the base of these, or isolated holes or gullies that attract food deposits. These may have a large Skate lying in wait. A quality rod of at least 30lb test curve is required to prise a Skate off the seabed, although I prefer a 50lb class. You will need a powerful reel that can stand the pressure and test of time, a Penn 6/0 or similar is ideal, loaded with 50lb braid. Braid has thinner diameter and non-stretch properties, perfect to cut through the fast tides and deep water. End tackle should comprise of a Running Ledger and at least 150lb nylon hook length crimped or tied with a “grinner” knot onto a heavy gauge size 8/0 hook, or a pair of 8/0’s, Pennell style. This should be good enough to land any Tope or Spur dog that may also make an appearance, although if you prefer, rig the last twenty inches of the hook length with 150lb wire to on the safe side. 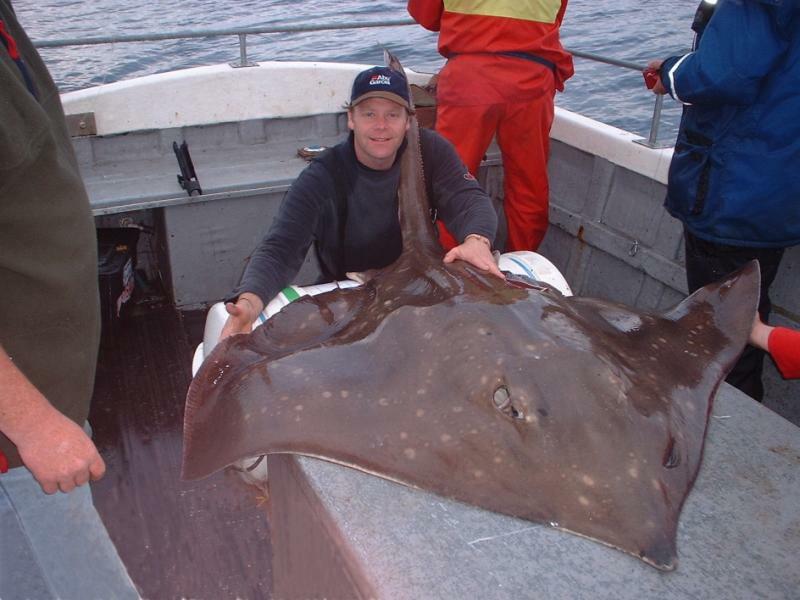 Skate are slow growing giants of the sea and large fish can be up to 70 years old. The Irish specimen fish committee suspended their records of this species in a bid for conservation and as with all fish, if you are lucky enough to capture one, handle it with care and return it to the sea. To gauge the weight of a Skate simply measure the wingspan from wing tip to wing tip and the length from nose to tail. By comparing these measurements to the charts you will get a reasonably accurate overall weight.